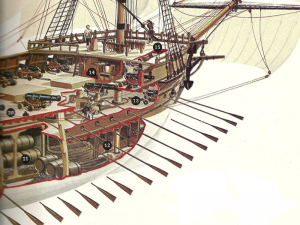 Are you interested in British maritime history? How about traditional crafts and skills? Do you like the idea of helping to crew a replica square rigged wooden sailing ship on the Thames in London – or maybe on an Atlantic or Pacific voyage? It’s a new website which I’ve just written (and which my website partners Reyus have designed). The plan is to build three replica pirate ships on the banks of the Thames in London. Two will then be berthed in Greenwich and sail, with the help of members of the public, along the river. The third ship will retrace the voyages of the original pirate Captain Kidd all over the world. As you’ll see from the mission statement, the potential social, historical, local and environmental benefits are massive. It’s early days yet – money has to be raised and the ships have to be built, but both the Mayor London and the Lord Mayor of London have pledged their support. And if you could make a small donation to help get it off the ground and into the water, so much the better.